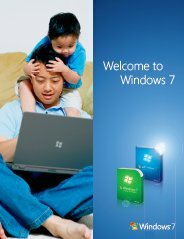 How to upgrade Windows 7 home premium to professional? Please help me. Hi, I bought a Dell desktop computer and it came with Windows 7 Home Premium 64 bit. One of my friend told me that the Windows 7 Professional has more features than Home Premium edition. And I would like to know how to upgrade from Windows 7 home premium to Windows 7 professional edition? Also, I want to make sure that it keeps my applications and settings intact on my PC. Join in and write your own page! It's easy to do. How? Simply click here to return to Windows 7 Home Premium Edition.